Marijuana is a wonderful herb that grows naturally all over the planet. Unfortunately it is still illegal to grow marijuana in many countries. Please check your local laws before growing marijuana. With that said, let’s get growing! Since you have chosen to grow with hydroponics (nice choice) it is important understand nutrients. There are several brands of nutrients to choose from. General Hydroponics is a great economical choice but if you can splurge a little bit pick up a Fox Farm system. Regardless of your nutrient choice, to grow marijuana you need to provide your plants with the right nutrients during the right cycles. Don’t feel intimidated, nutrients are easy to measure and add with a PPM meter so you should always be confident in knowing your plants have what they need. If you don’t already have a PPM meter hit up your local hydro shop or order one online. They cost around and they measure the parts per million of total nutrients. With one of these meters you can keep your plants well fed and happy. During the vegetative state your plants are going to be craving a lot of nitrogen. Nitrogen is a basic building block and helps the plant to establish a strong root system and a strong core. The vegetative cycle can vary but typically lasts 6-8 weeks. For the first 5 days of your plants life don’t even bother adding nutrients. At any given time, too many nutrients will cause leaves to burn and plants to go into nutrient lock, making it impossible for them to get any nourishment. Add a small amount of your stage 1 nutrients to the hydro tank for the first 2 weeks. Your PPM should stay a steady 50-150. Keep increasing the nutrient intake by 50-100 per week. You can feed your plants until you notice discoloration of leaves, at which point you should dilute your nutrient base. As you approach 6-8 week you will be adding more of the stage 2 nutrients. During the transitional phase plants need more phosphates. This helps them get ready for flowering. When you make the switch from 24 hour lighting to 12 hours on and 12 off, you need to change the flow of nutrients again. By this point your plants are ready for a steady dose of potassium. Your stage 3 nutrients should be administered at around 1000 PPMs to start with. Increase the dose by 50-100 per week and your flowering cycle will conclude in 8-11 weeks. The last two weeks of your flowering cycle change your basin to only purified water. Too many nutrients down the home stretch will give your bud a funky chemical flavor and diminish your smoking experience with harsh hits. The last 3-5 days of flowering your should pull the water out altogether. Since you are about to embark on the curing process, the water that is filling your plant is no longer necessary. Always track your PPMs on a notepad for record and change your water at least weekly to avoid any algae growth. If your plant’s leaves start yellowing or burning, adjust your nutrients accordingly. 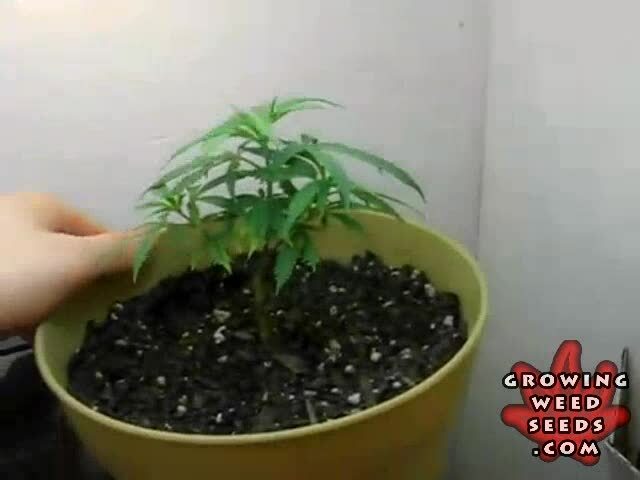 When properly administered, nutrients will plump up your plants and they will erupt with luscious buds. Check your room temperature and make sure your light source isn’t to close if it is hot. You should also be testing and balancing the pH of you water. Never over-fertilize either. Hope this helps.